Muddy Waters is arguably the most influential bluesman of the twentieth century. Waters was instrumental in bringing the sounds of the Delta north to Chicago, electrifying it in the 1950s, and then tirelessly promoting its popularity. Beyond this, Water’s band was an artistic incubator for the many renowned musicians of the next three decades, such as Otis Spann, Buddy Guy, and Francis Clay, who spent time playing in his bands and recording on his albums. The timeless music he created still stands today among the best of the genre. 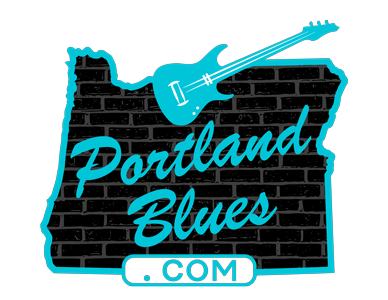 The Cascade Blues Association honored Muddy Waters by naming its annual awards for the top artists, recordings, events, and venues after him — The Muddy Awards — and on Monday, September 26, four of those artists will pay tribute to the music of Muddy Waters with a performance at The Lake Theater & Café. Guitarist Alan Hager, bassist Dean Mueller, harmonica master Mitch Kashmar, and drummer Jimi Bott will deliver a first-class presentation worthy of the King of Chicago blues himself. All four of these musicians have been multiple nominees for and recipients of a Muddy Award in various categories. The Muddy Waters Tribute was first performed at The Lake Theater & Café last spring to much accolades and is expected to bring in a full house once again. The Lake Theater is located at 106 State N Street in Lake Oswego. The Muddy Waters Tribute show will start at 7:00 pm, with tickets available for $15.00 general admission available in advance at Laketheatercafe.com.